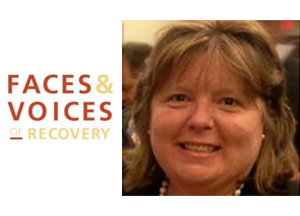 Patty McCarthy Metcalf, M.S., is the Executive Director of Faces & Voices of Recovery, a national recovery advocacy organization based in Washington, DC. Prior to joining Faces & Voices of Recovery, Patty served as a Deputy Director of SAMHSA’s Bringing Recovery Supports to Scale Technical Assistance Center Strategy (BRSS TACS) initiative at the Center for Social Innovation. Ms. McCarthy-Metcalf served for a decade as the Director of Friends of Recovery-Vermont (FOR-VT), a statewide recovery community organization promoting the power of long-term recovery to improve the health and quality of life of Vermonters. In addition to public policy and education, her work has focused on community mobilizing, peer-based recovery support services and peer workforce development. She has been instrumental in the development of a national accreditation for recovery community organizations and in the development of peer support standards. Patty has designed and facilitated training on topics such as ethics and boundaries, recovery-oriented systems of care, peer volunteer management and peer recovery coaching. Ms. McCarthy-Metcalf has frequently participated as a subject matter expert and thought leader with SAMHSA sponsored policy discussions. Ms. McCarthy Metcalf’s professional experience covers the spectrum of prevention, treatment and recovery. She has worked as a substance abuse prevention specialist with the Vermont Department of Health and as a Child and Family Clinician within a community-based mental health center. She holds a Master’s Degree in Community Counseling and a Bachelor’s Degree in Business Administration. Patty is a woman in long-term recovery from alcohol and drug addiction, since 1989.